A huge community joined in! 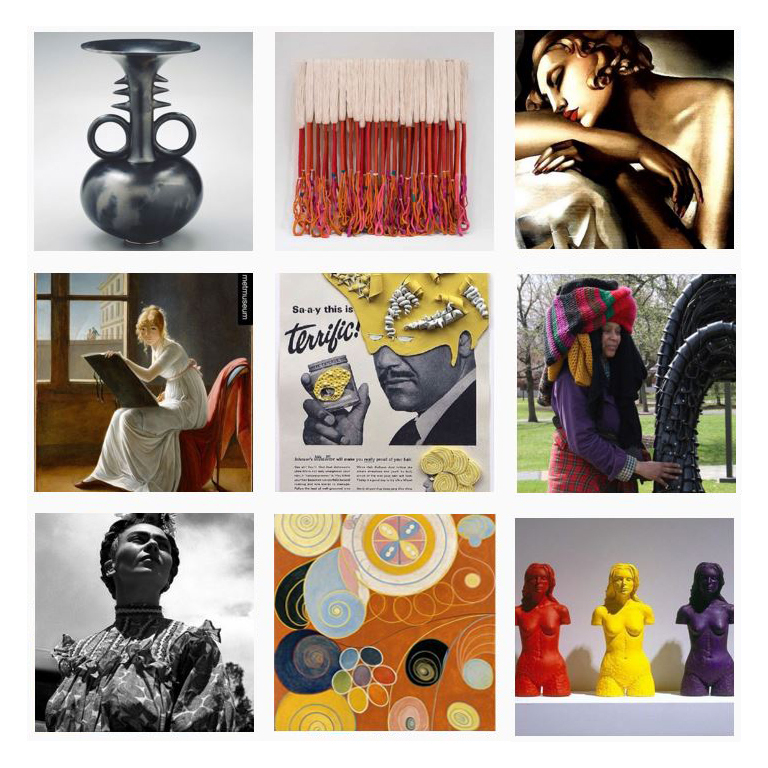 Art museums, libraries, galleries, and art lovers from 20 countries answered by sharing and tagging their favorite women artists. News outlets like the Huffington Post and the Atlantic helped spread the challenge. More than 370 cultural organizations and 11,000 individuals joined the campaign to promote women artists. 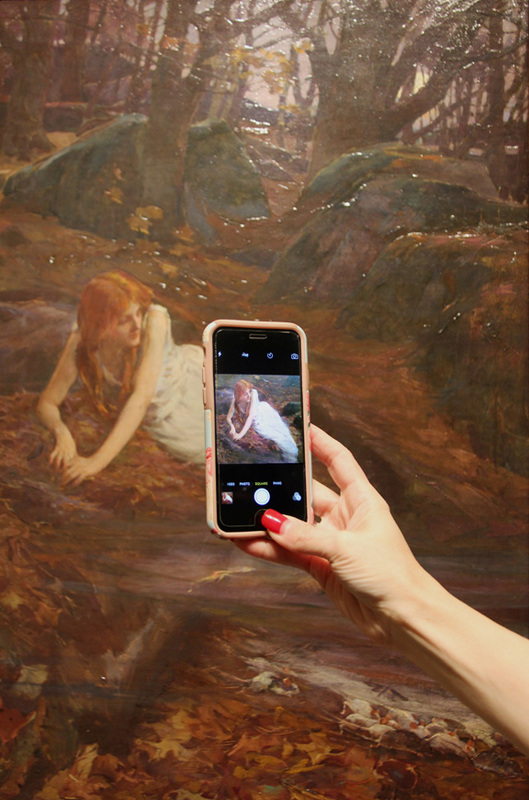 More than 3,300 Instagram posts and more than 23,000 tweets used the hashtag #5womenartists. During the campaign, NMWA’s number of digital followers increased by 140% on Instagram, 19% on Facebook, and 12% on Twitter. At least 60 individuals and cultural institutions wrote personal blog posts about the challenge, in English as well as Spanish, Italian, Turkish, and Estonian. NMWA’s blog post launching the campaign was read almost 2,000 times. Overall, March was filled with exciting digital endeavors to bolster the visibility of women artists. Thirty-five participants attended NMWA’s fourth annual Wikipedia-edit-a-thon, part of the Art + Feminism initiative to improve Wikipedia’s gender imbalance. Using the museum’s resources, contributors improved 20 existing articles and created new entries for Hungarian-born Mexican photographer Kati Horna, silversmith and jewelry designer Alma Eikerman, and drafted information for the Association of San Francisco Women Artists. For International Women’s Day on March 8, NMWA captured tweets and posts from people around the world celebrating #5womenartists. The museum also hosted a before-hours instameet for a group of 30 local photographers to tour, snap photos, and explore the museum’s galleries. For each week of 2016, a different museum across the globe takes over the @52museums Instagram account. March 21–27, @womeninthearts brought stories about the museum and women artists to a broader digital public. To finish the month, the museum also participated in #MuseumWeek, the first worldwide cultural event on Twitter, and shared the building’s history, collection, exhibitions, and advocacy programs. During the last week, nearly 5,000 people viewed the museum’s BuzzFeed quiz, which asked, “Which of these #5womenartists are you?” So, can you name #5womenartists? In a Twitter poll, 83% of NMWA followers said yes! Next year, we’re aiming for 100%. Want to continue to advocate for women in the arts? Follow the museum on Twitter, Facebook, and Instagram. Visit the museum, become a member, and get involved in upcoming programs.